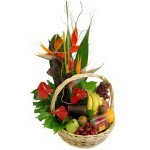 SKU: RF051. 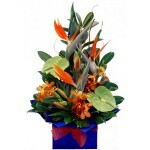 Category: Arrangements, Baby, Birthday, Boxes, Easter, Father's Day, For Him, Get Well, Mother's Day, Summer, Thankyou, Tropical. 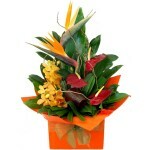 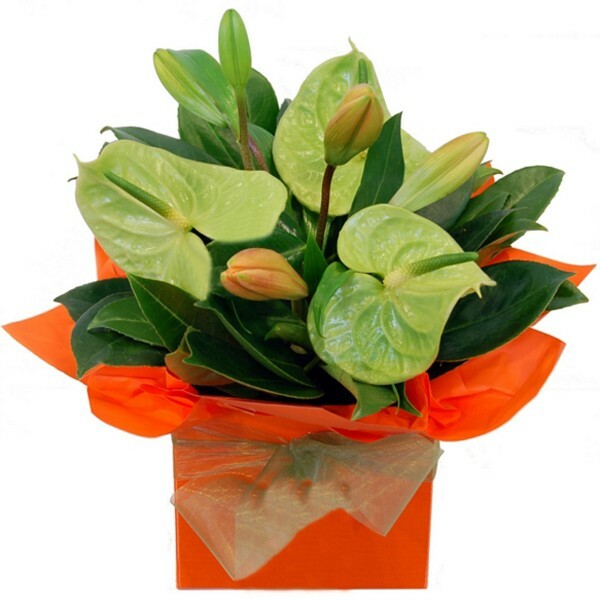 Vibrant and modern, tropical anthuriums and asiatic lilies, arranged beautifully in a box.